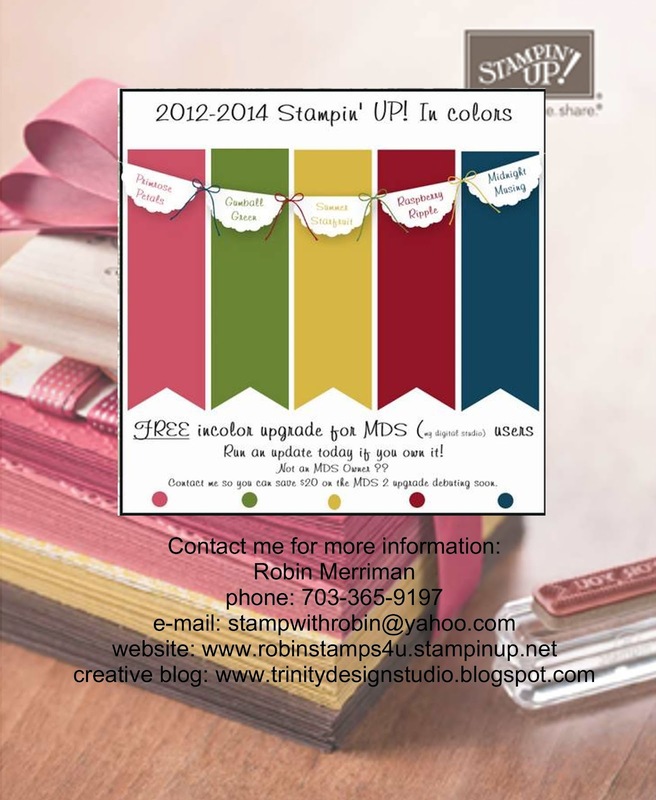 Trinity Designs: FREE! My Digital Studio New In Color Upgrade! This is great! If you already own My Digital Studio, simply log in and check for updates to add the NEW 2012-14 In Colors for FREE! If you don't own it, well, what are you waiting for?? You can run a FREE 30 Day Trial to check it out and create some fantastic projects. Any digital downloads you purchase during that time period you can KEEP and continue to use in My Digital Studio if you purchase the program OR run them in your own applications. There is an exciting Upgrade coming soon for My Digital Studio called MDS 2. For those of us who own the program already, we'll be able to purchase the upgrade for just $19.95. A 50% savings! If you have questions, please contact me! All my info is on the flyer above - which I created in My Digital Studio!